The PELCO easiSlicer™ introduces the new standard in vibratory slicing. It combines ease of operation, precise engineering and affordable pricing in a high quality instrument. 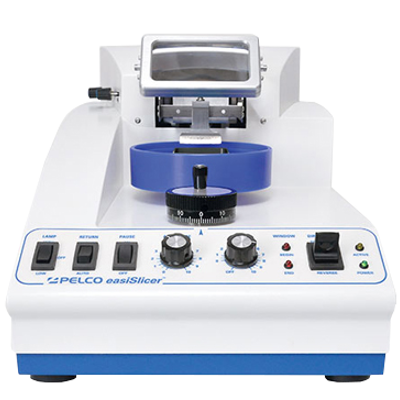 The PELCO easiSlicer™ uses rigid construction and advanced engineering technologies to essentially eliminate backlash resulting in minimal Z-axis vibration normally associated with more expensive vibratory slicers.